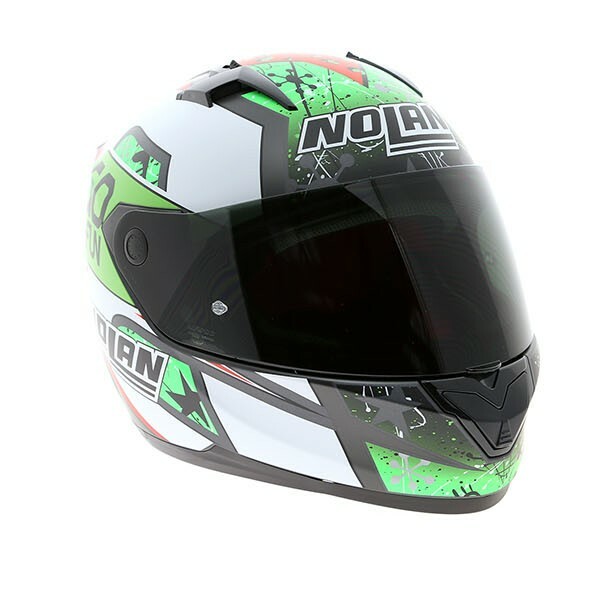 The Nolan N64 is designed for road use and perfect for all riding conditions. This model stands out thanks to its sporty design and attention to detail, as well as a very competitive price. 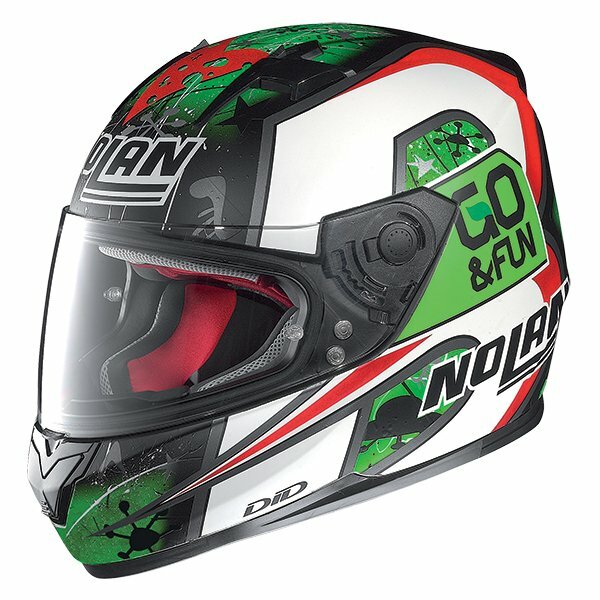 It has a fully removable interior, excellent ventilation system and the visor can be fitted with a Pinlock insert if required. RETENTION SYSTEM - The quick release chin strap uses a ratchet belt style buckle to allow quick and easy fastening and removal. SHELL CONSTRUCTION - An outer shell constructed from Lexan plastic. INTERIORS - Fully removable and washable interior constructed from soft breathable fabrics with an antibacterial treatment. VENTILATION - Full ventilation system including twin inlet and rear air extractor for optimal air flow and climate control. 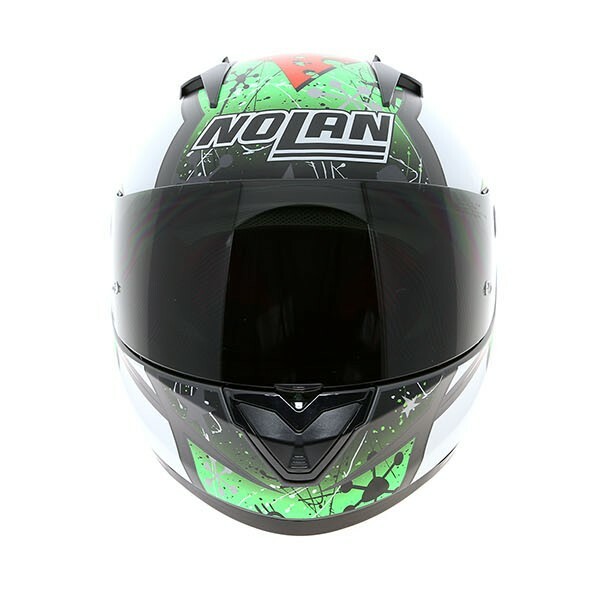 VISOR - Quick release scratch resistant Pinlock ready visor allowing quick removal and replacement. INTERIOR FABRIC - ClimaComfort interior fabric which is both moisture wicking and breathable. Great companies are born out of great passions. Nolan has always meant "passion for two wheels". 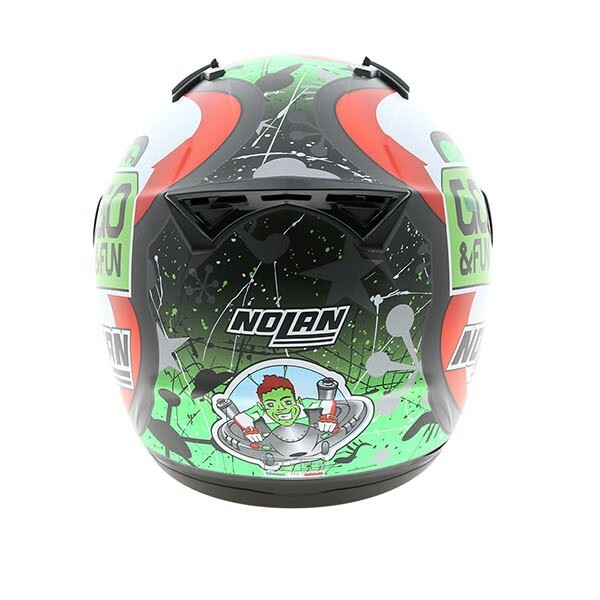 The history of Nolan began in 1972 when Lander Nocchi, an entrepreneur in the motorbike and car accessories sector, decided to produce motorcycle helmets that could be lighter and more affordable than those on the market at the time. 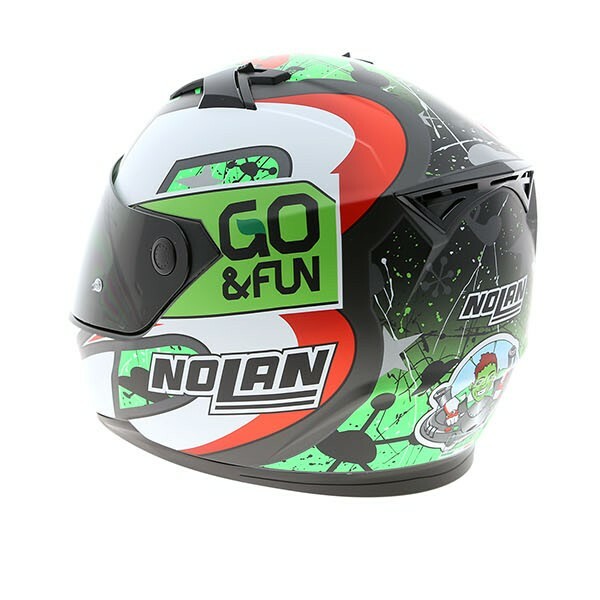 He purchased, from a company in the United States, an innovative plastic material, Lexan, which was light and versatile, and started producing polycarbonate helmets. In the following 37 years, other important ideas have been put into production, and they proved to be well known and highly valued products by thousands of customers in more than 70 countries around the globe.